The Thone you’re lighting an acuity Brands Company has been a trusted lighting manufacturer for over 10 years. During the decades of service to the lighting industry, SOMPOR has been at the forefront of high quality and innovative lighting solutions. In the past two years SOMPOR Lighting has launched several new highly efficient LED based lighting fixtures with great success to help customers better understand LEDs and their potential to revolutionize the lighting industry. We would like to take a few minutes to answer some common questions around LED technology. 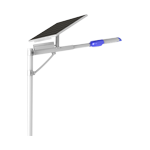 Over the last 40 years advancements in LED technology have launched this light source into a resource bright enough to illuminate any application. Understanding the basics is simple. 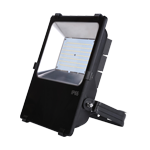 Most of the LEDs used in the lighting industry are comprised of a base, a diode, and a protective lens. These three main components are usually attached to a PC board, when electricity passes from the PC board through the base and across the diode the LED illuminates. Essentially the diode acts like a filament in a traditional incandescent lamp. The main difference is the diode in an LED is very resilient. It is made of a solid crystal which makes it more rugged. This characteristic is why LEDs are a solid-state lighting source and also explain why they can be used in a number of applications that traditional lighting sources cannot. The last major aspect of how an LED works relates to heat, contrary to what most people think, LEDs do give up heat instead of the heat radiating from the front of the light source like an incandescent HID or fluorescent lamps and LED dissipates the heat backwards through the base and PC boards. That is why many LED fixtures have large heat sinks connected to the back of the PC board. LEDs will soon become the preferred light source over traditional light sources. What are the advantages of LEDs over traditional light sources? 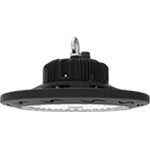 For starters, LEDs operate using very low wattage but still provide the same amount of light as traditional sources. Today LEDs are up to 80% more efficient than incandescent lamps and up to 30% more efficient than fluorescent lamps. LEDs are a more durable light source that don’t have fragile filaments and therefore don’t break easily. 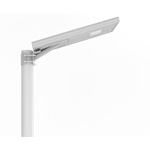 Not only are LEDs themselves more rugged but when paired with a well-designed fixture, LEDs are made to last for about 50,000 hours over the life of the fixture. In most cases these benefits combine to give LED light fixtures a better overall total cost of ownership over conventional lighting systems. Over the lifespan of their systems, LED systems will cost less and save more energy than incandescent and CFL systems. Not all LED fixtures are created equal. 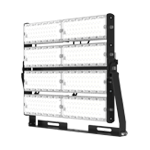 There are many LED manufacturers trying to take advantage of the LED boom, but not all LEDs are of good quality. 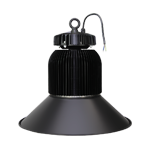 There are many cheaply manufactured LED fixtures out there that are tarnishing the industry’s reputation by providing super performance. There are several technical differences that can affect an LED fixtures performance. 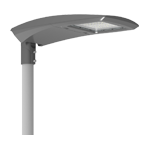 Two of the most critical are the fixture design and the quality of LEDs utilized in the fixture. Some of the fixtures have a white and even bluish tint while others look yellow even though all the fixtures shown are the exact same product. Their color temperature is drastically different a low quality spec was chosen for this LED fixture. LED bending is a major concern for lighting manufacturers designing fixtures around LEDs. It’s the process by which LED manufacturers group LEDs together in bins by quality and consistency of critical performance attributes, such as light output color and power consumption, the bidding exercise allows for consistency in color from one led to another, and consistency from one fixture to the next in a complete application. To understand binning, it is necessary to know a little bit about how LEDs are manufactured first. The diode crystal is grown in a giant wafer, this giant wafer is then cut into smaller pieces which eventually are used in the diode component of the LED. Even though all pieces cut from a single wafer are made from the same material, they are not all the same a piece cut from one end of. The wafer might have a different lumen output and a different color, then a piece that is cut from the other end of the wafer. This is why buying LED fixtures from a reputable manufacturer that uses a narrow binning spec is so critical. So how can a buyer know that an LED fixture meets its spec before they purchase it? It is also important to understand that while a smaller binning spec increases the quality and consistency of the light admitted. 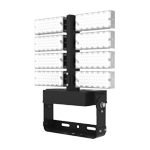 It also increases the cost of the fixture rest assured that all SOMPOR LED fixtures will produce their stated lumen output and color temperature while providing high color accuracy. This is because SOMPOR partners with well-known LED manufacturers like Samsung, Philips, Cree and other reputable manufacturers to provide quality LEDs, but a further validation is desired before buying a fixture. Take a look at the fixtures lighting Facts label lighting facts are similar to a Nutrition Facts label, but apply to lighting fixtures, lighting Facts outlines the light output of a fixture in lumen the Watts used and the efficacy of the fixture in lumens per watt. The color quality is also listed as a number zero through 100 on the CRI or color rendering index, scale the closer the number is to 100 the better the color accuracy lighting. Facts also lists the CCT or correlated color temperature, this scale ranges from 2700 degrees Kelvin which is a warm yellowish color to 6,500 degrees Kelvin which is a cool white, or almost blue color additionally buyers should look for an LM 79 testing report to validate an LEDs fixtures lumen output. Never buy an LED fixture if it’s lumen output color temperature or color accuracy cannot be validated before the purchase. Thank you for taking a few minutes to learn about the basics of LED. Hopefully you now have a better understanding of how LEDs work and why choosing a quality LED fixture from a reputable manufacturer like SOMPOR is so important.